Robert E. Schapire is Professor of Computer Science at Princeton University. Yoav Freund is Professor of Computer Science at the University of California, San Diego. 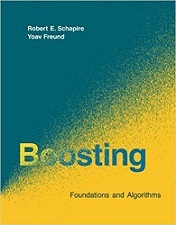 For their work on boosting, Freund and Schapire received both the Gödel Prize in 2003 and the Kanellakis Theory and Practice Award in 2004.